Last weekend, the World Long Distance Mountain Running Championships were held in Podbrdo, Slovenia. Nine familiar fellrunners were selected to represent Great Britain mainly following brilliant performances at the Three Peaks, this year's trial race. The race was tough, really tough, I don't know whether comparing it to doing the Ben Nevis Race twice and then adding another 6 miles would be a fair description....but here's the profile; 2800m of climb over 42km (or 9000ft over 26 miles). 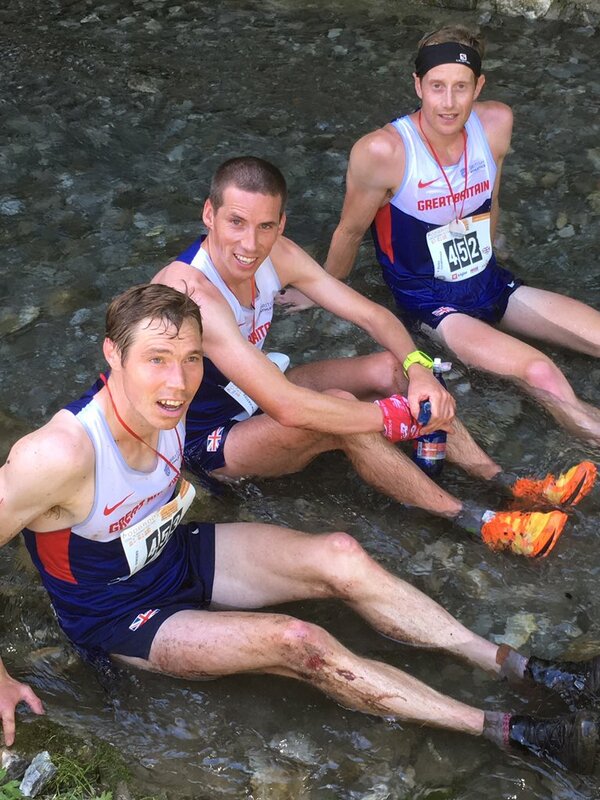 The GB teams put in some brilliant performances; for the men, Tom Owens 4th, Ricky Lightfoot 6th, Andy Davies 9th, Karl Gray 12th and Rob Hope 16th brought them a Team Silver Medal behind Italy. 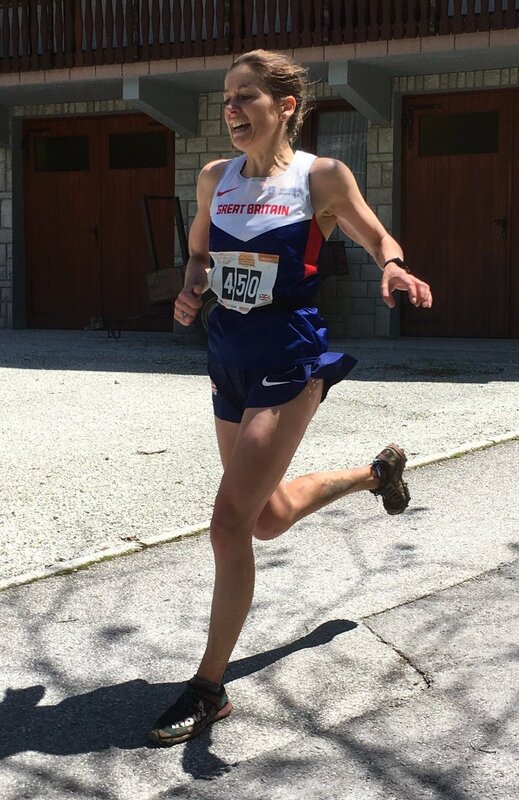 And for our women, Annie Conway came from 5th place 2hrs and 45mins into the race to 2nd place with 5k to go, to an outright win! 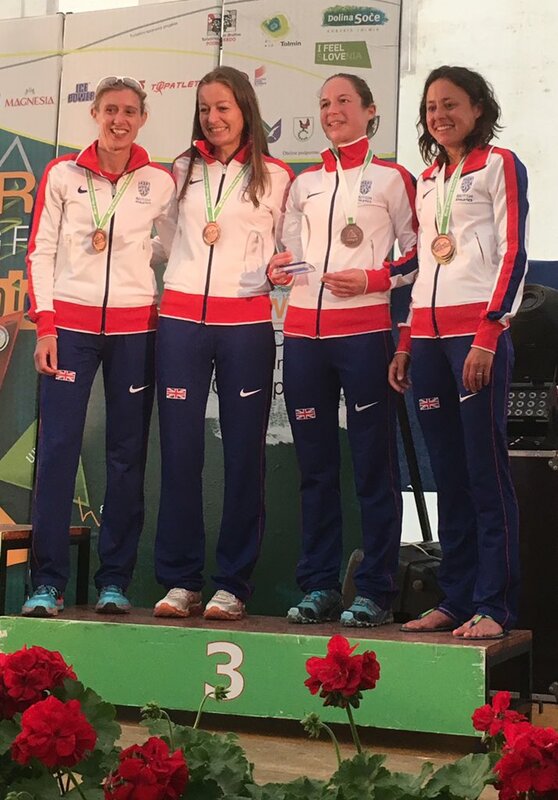 Backed up with Victoria Wilkinson in 14th place, Helen Berry in 18th and Helen Bonsor in 23rd, giving the women the Team Bronze Medal. 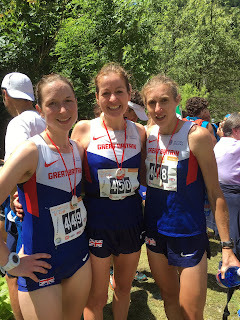 I managed to have a chat with Helen Berry about the race today. I asked her how she had prepared for the race, and how hard it was. I also asked her how she reacted when she found out Annie had won and what was it like being on a podium. So if you want to find out what she said.....read on! "There was only six weeks after the selection race, so there wasn't much time to get too many more long runs in, especially by the time I'd had a week's rest and then allowed for tapering for the actual race. However, I already had three months of distance training under my belt, so it was just a case of continuing with my mileage and hill sessions while keeping fit and well (avoiding anyone who had a cold!). I'm certainly grateful for the knowledge and advice I received from Holmfirth Harriers' endurance coach, Kath Farquhar. I followed her training plans to the letter!" "The race itself was hard, but I knew it would be. It was going to be an extra 30 minutes further than my longest race to date, so I had prepared myself both physically and mentally. I knew I had to keep something in reserve for the second climb, it was going to be brutal but I kept my head down and got on with it. I managed to catch about five women on that climb which reassured me that I had paced it well. 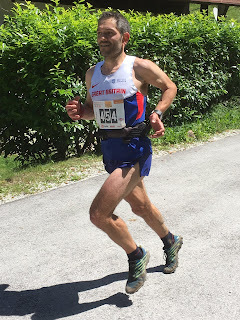 The support at the feed stations was fantastic and I was surprised by how many people were at the ski station at the top of the second climb which gave me a real lift as I headed off the top for the final descent. The views, when I had chance to look around, were stunning. Race day was the best weather-wise of the whole weekend, so the mountain tops looked beautiful in the sunshine and I enjoyed the race (I can't say that about all races!)." Did you know you were on for a medal? "I was really chuffed to arrive at the finish line having felt pretty good all the way round, and managed a smile heading over the line. 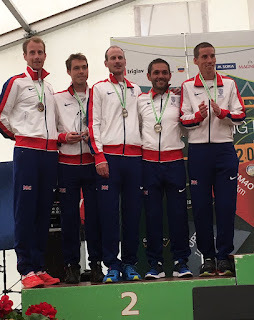 I knew we were on for team medals, as Mark Croasdale was at the village in the valley just before the second climb and let me know we had a chance - which also made me push every single step up that climb; no pressure! At that point, I didn't know how Vic and Annie were doing, only that I was in about 21st place (which someone shouted as I passed) and that I was ahead of Helen Bonsor. That was the first I knew of my position. The team places were calculated on aggregate time, so we weren't sure of the result for a while." And what about Annie's win? "I learnt of Annie's win as soon as I'd finished. I was really happy for her! 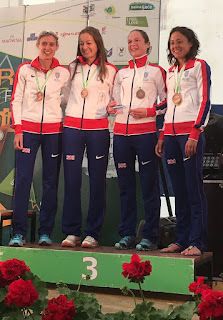 It really added to the day and made the prize giving really special for the GB team. I couldn't stop smiling for Annie when she was up on that podium. 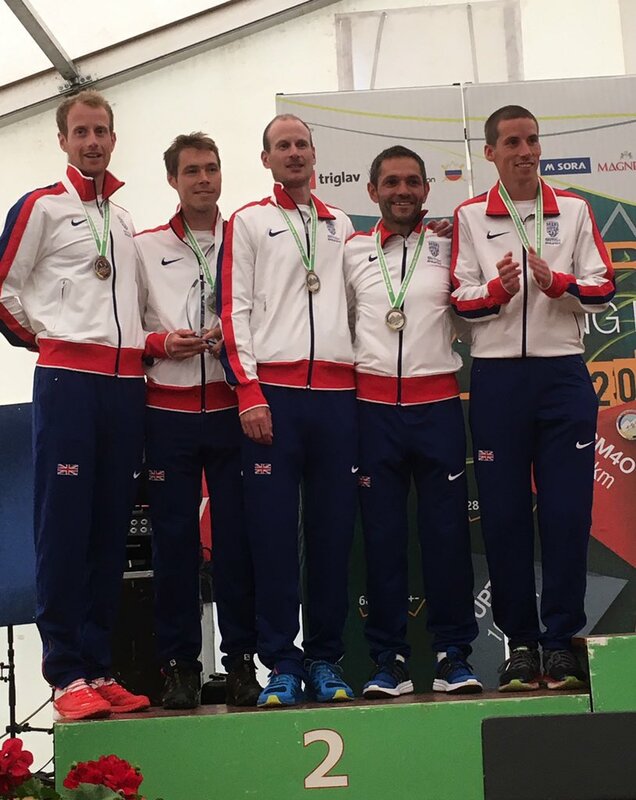 With her win, a bronze for us, and silver for the men with them packing so well, it was great day and medals all round! 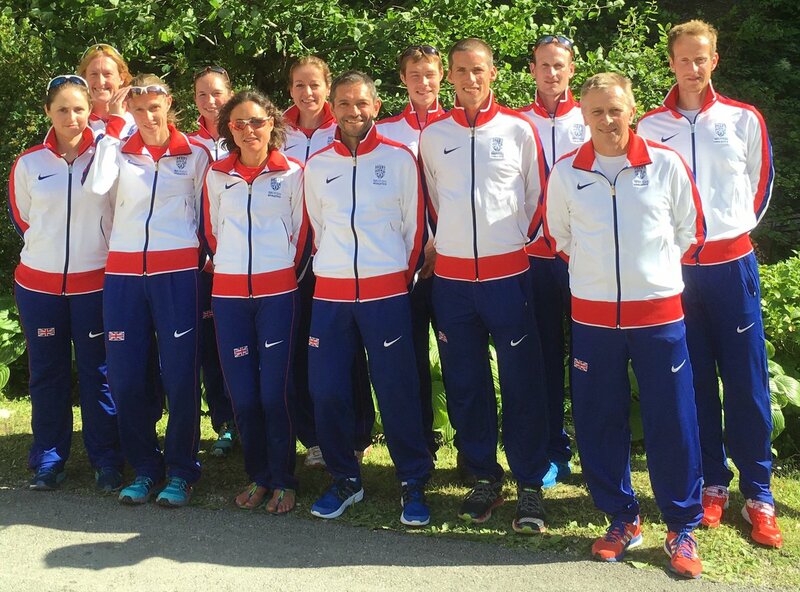 It was a memorable weekend and fun to be part of such a great GB team." 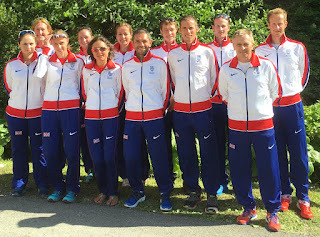 "Now it's a rest week (hopefully the DOMS will ease in the coming days!) and I've got three weeks before the next British race at Sedbergh. 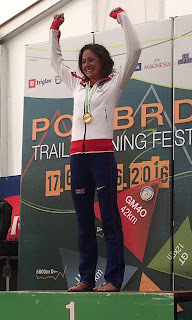 Then it will be the rest of the Champs series throughout the summer as well as a couple of local fell races"
Thanks for chatting Helen, well done and good luck for the rest of the season.